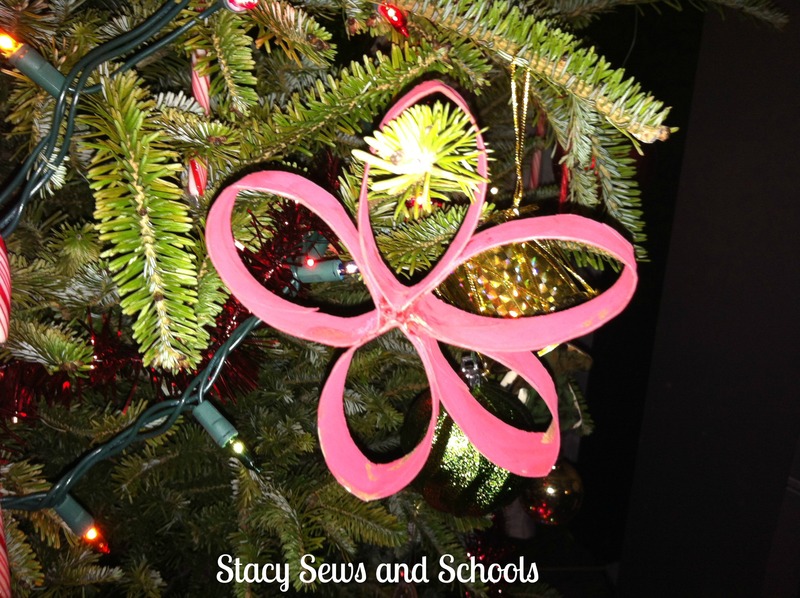 We have been very busy the past 2 weeks with lots of Christmas crafts! SO MUCH FUN!!! We actually had more than I am going to show you but someone THREW THEM AWAY!!!!! ARGH!!!!!!!! These are ornaments made from toilet paper rolls. 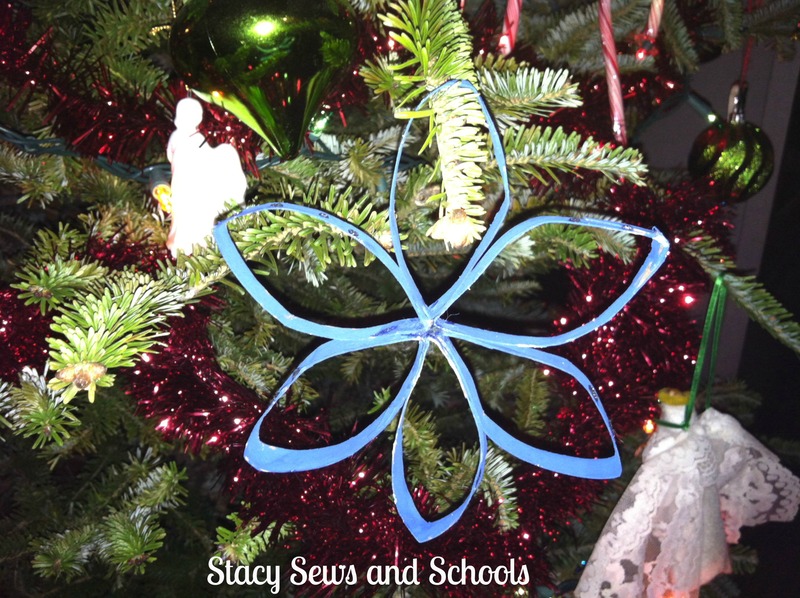 Cailey used a little glitter glue to decorate her blue one. Unfortunately it didn’t show up very well in the picture. 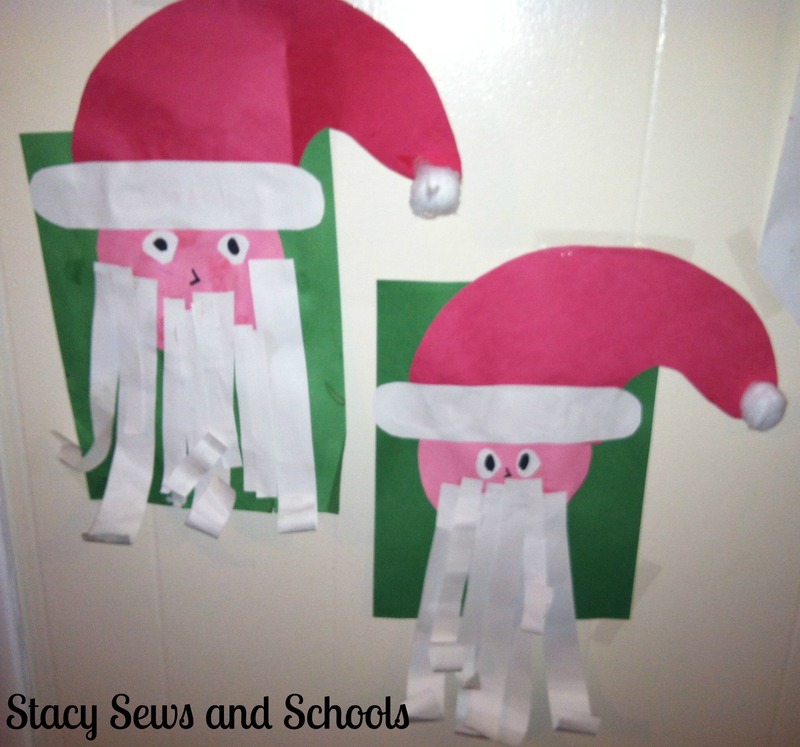 Here are their Santa faces. They used a pencil to curl his beard. 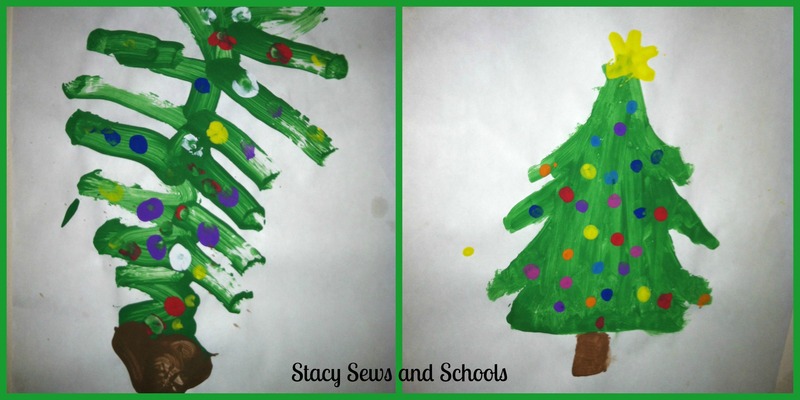 They free painted Christmas trees and dabbed on the ornaments with their fingers. 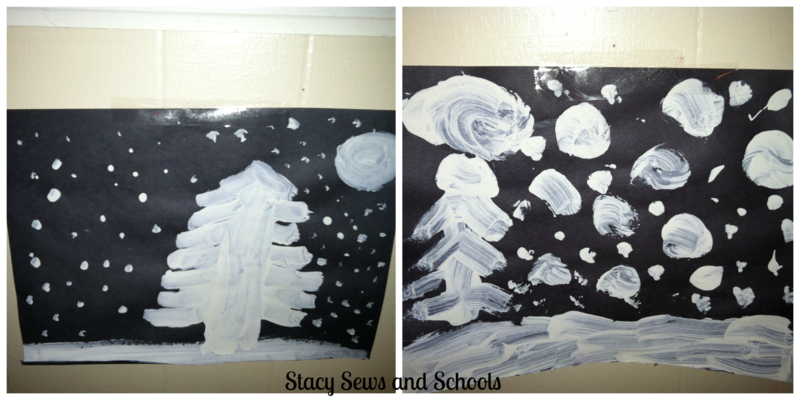 Here are their winter scenes, done in white paint on black construction paper. We’re calling these mixed media works. 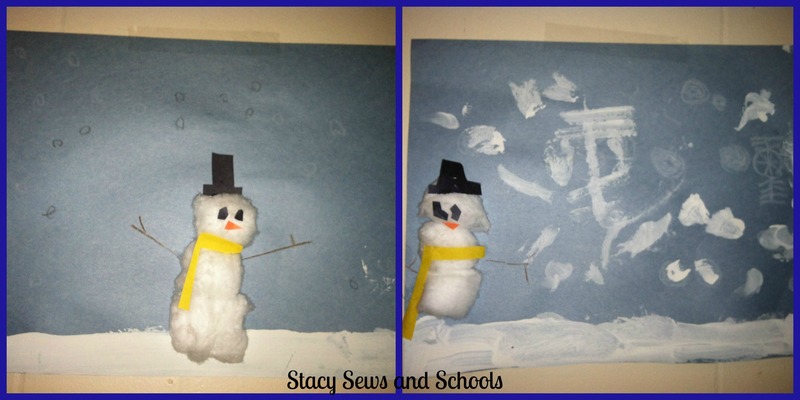 😉 White paint, blue, black, yellow and orange construction paper, cotton balls, and white crayons. 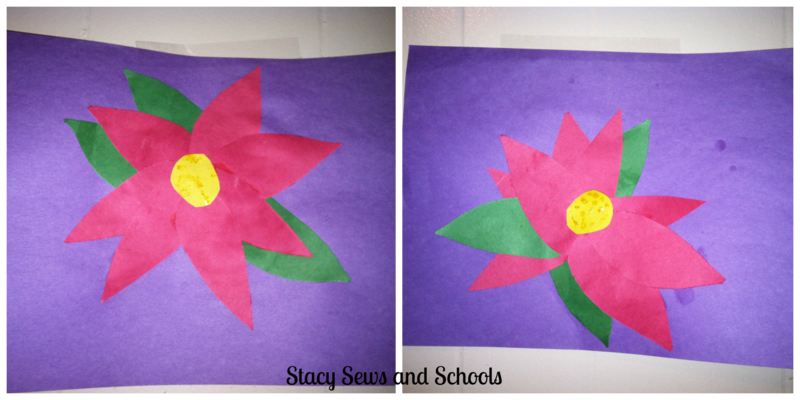 Here are their construction paper poinsettias! 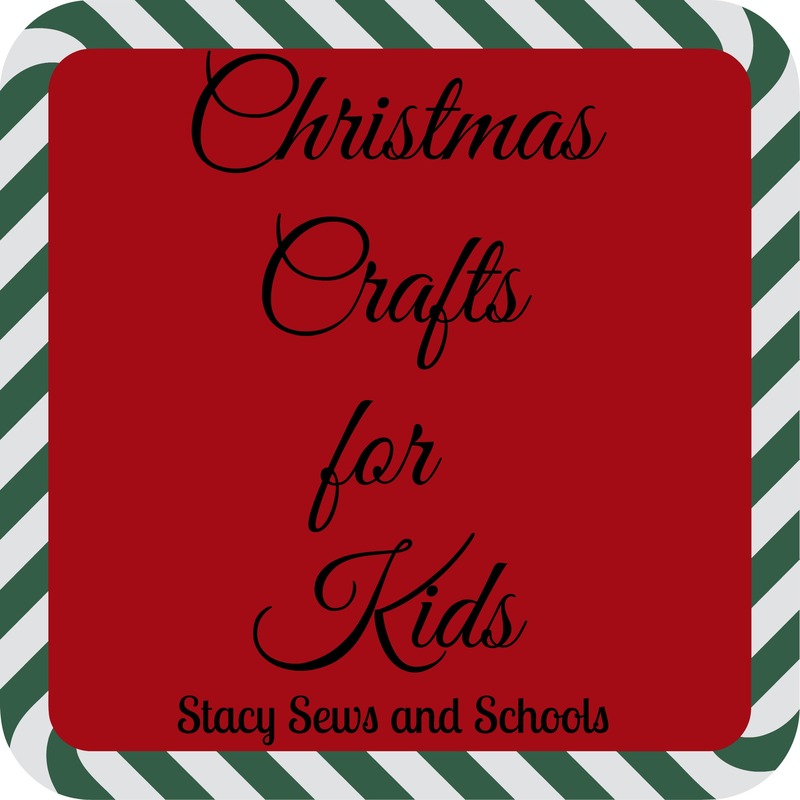 We are doing more and more Christmas crafts every day and as soon as I have another big grouping I’ll be sharing them with you!